Lauded for its accessibility and beautiful design, this text has given thousands of students and professionals the tools to create effective, compelling maps. 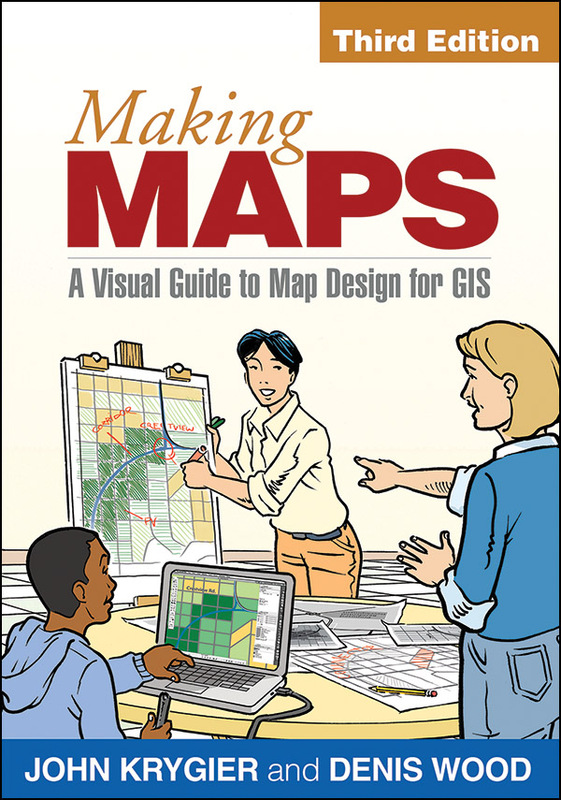 Using a wealth of illustrations—with 74 in full color—to elucidate each concisely presented point, the revised and updated third edition continues to emphasize how design choices relate to the reasons for making a map and its intended purpose. All components of map making are covered: titles, labels, legends, visual hierarchy, font selection, how to turn phenomena into visual data, data organization, symbolization, and more. Innovative pedagogical features include a short graphic novella, good design/poor design map examples, end-of-chapter suggestions for further reading, and an annotated map examplar that runs throughout the book. Expanded coverage of using mobile digital devices to collect data for maps, including discussions of location services and locational privacy. New and revised topics: how to do sketch maps, how map categories and symbols have changed over time, designing maps on desktop computers and mobile devices, human perception and color, and more. Separate, expanded chapter on map symbol abstraction. Additional case studies of compelling phenomena such as children's traffic fatalities based on race, the spread of tropical diseases, and the 2012 presidential election.